Our range of products include roller conveyor, screw conveyor, vibratory feeder, belt conveyor, wiremesh conveyor and crate transfer conveyor. Chain Driven Live Roller Conveyors, commonly referred to as CDLR, provides a positively driven, heavy-duty, live roller conveyor. 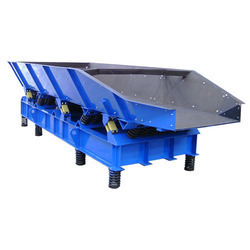 Our years of industrial experience enabled us in presenting a large spectrum of Vibro Feeder. These products are manufactured using high-grade quality basic material and sophisticated techniques. We are an acclaimed name engaged in offering our precious clients a superior quality range of Belt Conveyor. Our offered range is manufactured by our professionals using high-grade components and advanced technology in compliance with the industry quality standards. An apparatus for de-oiling potato slices, the apparatus comprising wire mesh conveyor, stainless steel balanced spiral wire mesh belt. 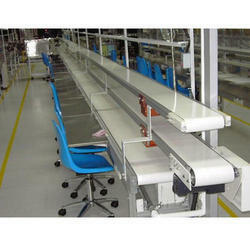 Looking for Food Handling Conveyor ?